provide wonderful shade and a park-like feel to the property. 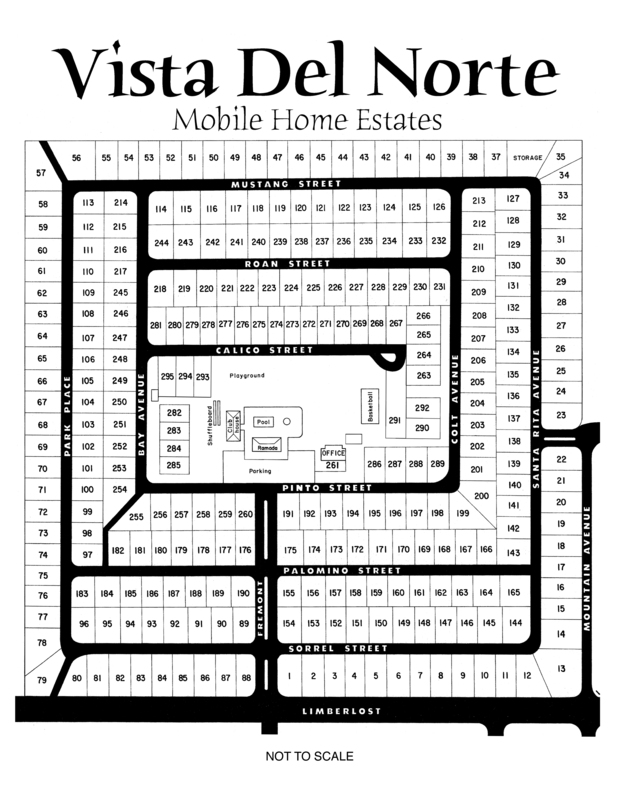 Every day as you come and go from Vista Del Norte Mobile Home Estates you will be able to enjoy the scenic setting of the entry road. The clubhouse is available by reservation for your family gatherings and special events. The playground and park provide a wonderful space for the whole family to enjoy all year.